Prosys provides complete Business Intelligence / MIS Automation solutions using Microsoft Business Intelligence Technologies like SQL Server, SSIS, SSAS (Tabular and Multi Dimensional), SSRS, Azure DB, Azure Analysis Services, Azure Data Factory, Excel Olap Pivot Tables and PowerBI. Prosys provides all services including conceptualizing, consulting, designing, development, implementation, training and post implementation support. Prosys has developed BI / MIS reports on data coming from various ERP’s like Oracle Applications, SAP, Microsoft Dynamics, Movex, MfgPro, BMC Remedy and various other branded solutions. Prosys has built BI solutions even on Enterprise Data Warehouses like Teradata. Prosys has also connected to Cloud Sources like Sales Force Dot Com (SFDC), Service NOW, SAP Success Factors etc.. to pull in data into the SQL Server Staging Area to develop Business Intelligence Applications. Prosys’s solutions are not shrink-wrapped products. They are customized solutions meeting your needs exactly. Prosys also uses templates in order to deliver solutions faster. Prosys solutions range from small entry level Desk-top based solutions right up to Enterprise-wide solutions which can run on any form factor like a Desktop, Browser, Notepads or even your Mobile Phones. Reporting can be Graphical Interactive Reporting using PowerBI, or Adhoc Reporting using OLAP Pivot Tables, or Subscription reporting using SQL Server Reporting Services. Prosys in collaboration with Data Scientists has also provided Advanced Analytics using tools like the “R” programming language based algorithms or use Azure Machine Learning to do a host of analytics like Predictive Forecasting, Regression Analysis, Market Basket Analysis. Employee Attrition etc.. If you wish to develop BI projects in-house, Prosys will also give you consulting services for best practices in BI Project design. Our experts can help your team in the best data warehouse design, dashboard design and the most complicated DAX (Data Analysis Expressions) ! One of the most critical tasks in any application design is a sturdy design of the underlying database. Prosys has extensive experience in designing database schema, compression, indexing, optimization, in-memory storage, creation of views and stored procedures to get the fastest and the most optimum performance. Prosys can also help you with your existing database and optimise the same to considerably increase performance. Going to the cloud ? Prosys will help you to migrate your SQL Server or any other database smoothly to the Azure Database. If you are having SSAS Tabular Model databased on premise and wish to move to cloud, Prosys will help you do the same. 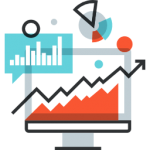 Prosys will help you get your resources trained in delivering quality PowerBI solutions. It can also train your users for self service BI. 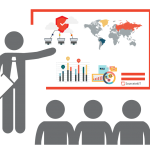 Special training includes taking your data to formulate a customized training experience with the data that your users are familiar with. 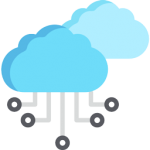 Prosys can deliver solutions that will work on Azure. This will help you save capital costs by paying only for what you consume. 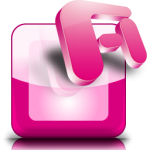 Do you want to add attractive reports to your Line of Business Applications ? 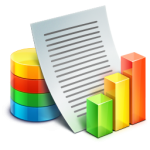 Prosys can design excellent reports using the SQL Server Reporting Services. 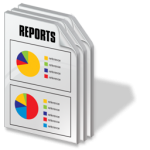 These reports can be printed out or can also be sent as a subcription to hundreds of users as pdf or excel files. 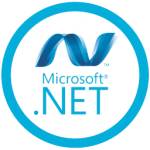 Prosys has expertise in developing Asp.Net Pages to take care of all your needs applications requiring simple to advanced form requirements. Prosys has extensive experience in developing Excel Automation solutions using the various features of Excel as well as VBA (Visual Basic for Applications) Automation. 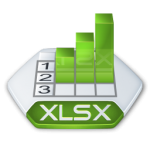 Prosys has created simple and complex Excel Forms, Worksheets with Advanced Security, Excel Pivot Tables emailing solutions respecting individual rights , Advanced Excel Pivot Table reports using PowerPivot Technology etc..
MS – Access is one of the most widely used Rapid Application Platform. Access tables can be linked to SQL Server to get the maximum benefit of the easy Access language and constructs and the sturdiness of SQL Server Database. Prosys has extensive experience in designing Access Applications. © Copyright 2018 Prosys Infotech Private Limited, India | All Rights Reserved.